I can’t talk about my hometown without mentioning some of the landmarks around the area. I have lived my entire life only 30 minutes from one of the Wonders of the World; Niagara Falls. I am lucky enough to be able to see the falls anytime that I want and no matter times I see it, I still look at it in awe. 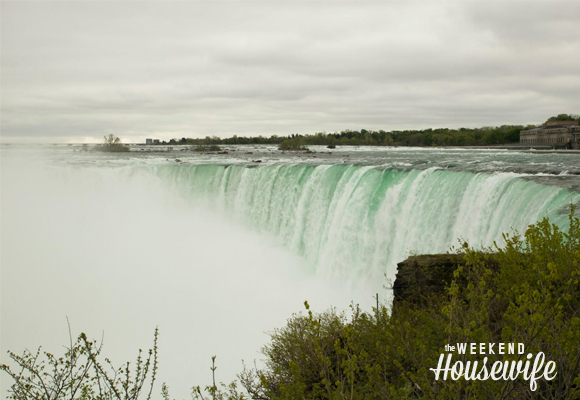 Niagara Falls was made over 10,000 years ago by a glacier (to which also made the Great Lakes and the Niagara River). 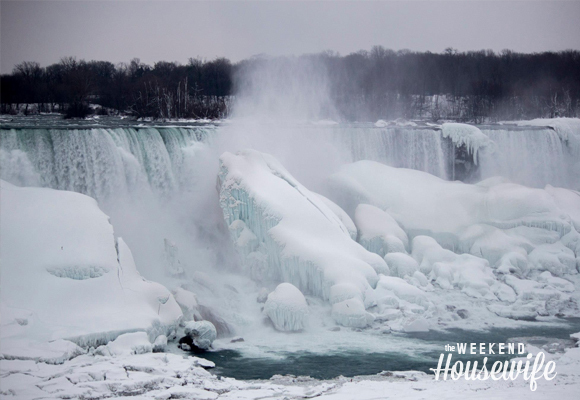 One of the neat things about the falls being so close, is that we can go and see it in other seasons. Most people see it during the summer months and while it is beautiful in its own right, it is even more awesome during the winter. 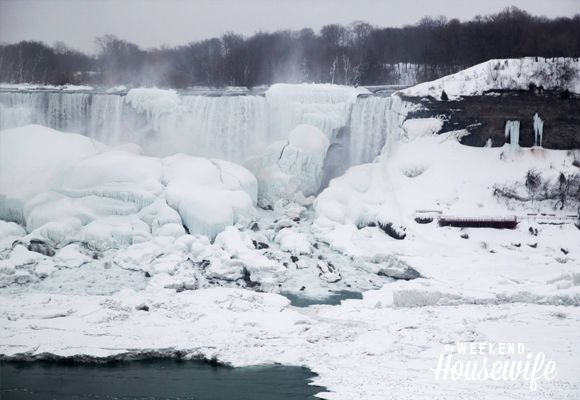 Michael and I had the pleasure of going to the falls this past winter and seeing it almost completely frozen over. 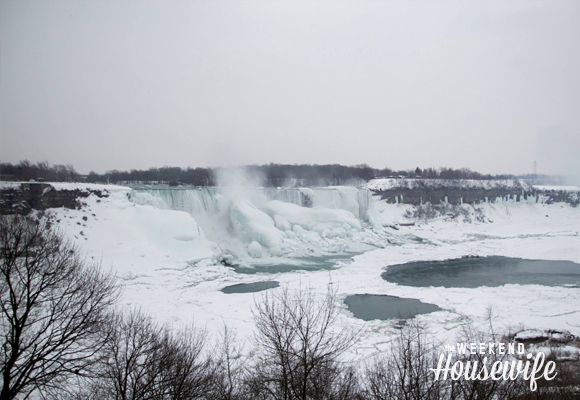 We went over the Canada to get the best view of the frozen falls and it was a really neat thing to see and not one that many get to experience. 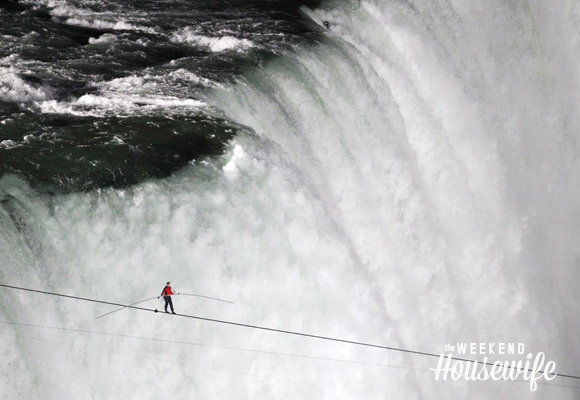 Of course, there are always the daredevils that will attempt things like going over the falls in a barrel but only one can say that he has walked across it. Nik Wallenda walked across on June 15th, 2012 on a tightrope in front of tens of thousands, while 16 million watched on television. Everyone was on the edge of their seats while he crossed. It was truly amazing to watch. There have been a lot of movies filmed here at the falls (Superman II probably being the most famous) but the one that I find to be the neatest was Pirates of the Caribbean: At World’s End. 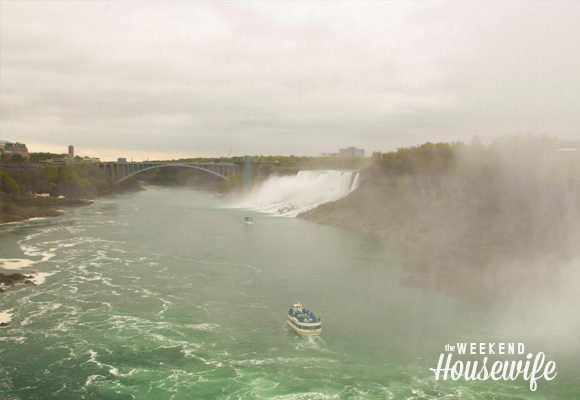 Every time we watch that movie, there is no escaping the scene where you can clearly see Niagara Falls. We notice it because we’ve seen it in person throughout our entire lives but if you look at enough photos and watch the scene, you can’t miss it. I have looked for a photo of the scene in the movie where they go over the water’s edge but I couldn’t find one. The Hometown Blog Series goes along with a postcard exchange with my Chatterbug blog friends. I thought it would be nice to show everyone more about my town and the interesting things that we are known for. Come back to see more highlights about my hometown and even some other interesting things about my area. I am so jealous that you live near all this beauty and culture. 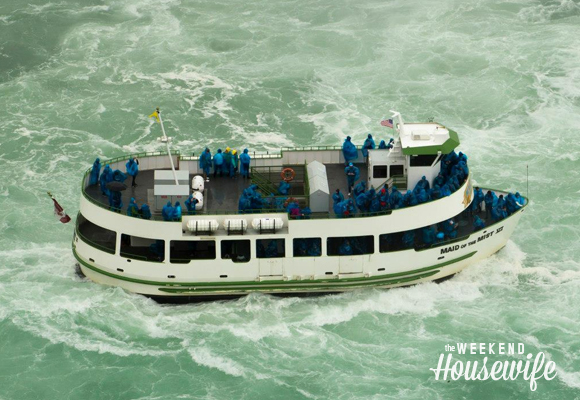 I hope to be able to visit Niagara Falls one day. I love Niagara Falls! Both sides are gorgeous! I would love to see them frozen over! Great hometown story! Always wanted to see this. Seems incredible. Kori, there is a huge difference between the American and Canadian sides. You get to see more from Canada but each is equally as beautiful.